Ever since Apple announced their latest iPhones had wireless charging, accessory makers like Belkin and Mophie have been announcing new wireless charging pads for the new iPhones. But wireless charging isn’t anything new especially if you’re an Android user, you’ve had the luxury of wireless charging your phone for a few years now (with Samsung adding it to their devices in 2015, with the Galaxy S6). 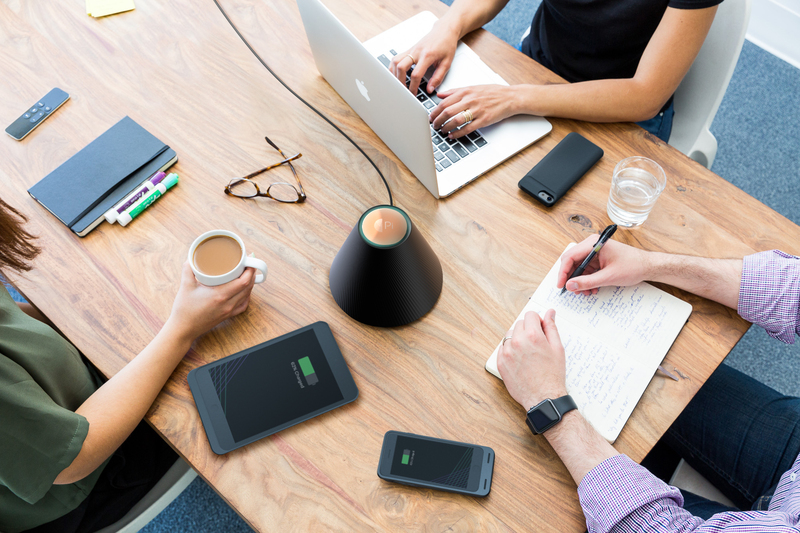 Now a new company by the name of Pi (like the mathematical symbol) have announced the world’s first contactless wireless charging. Meaning that no wireless charging mat is required. 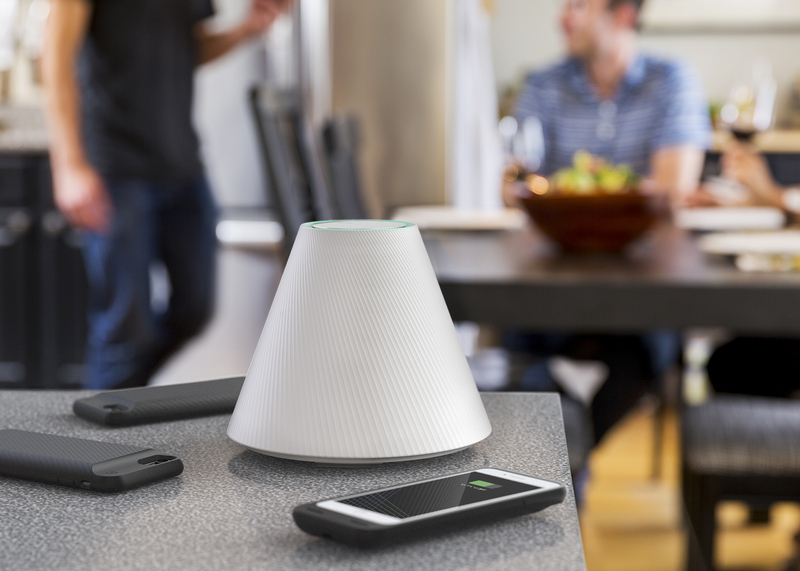 The Pi device uses electromagnetic charging technology along with the same resonant induction technology that the Qi standard uses to charge your Android or iOS device. How it works, is that you’ll place the Pi device where you would put your devices to charge, whether it’s a bedside table, kitchen counter etc. Then place your Android or iOS device within one foot of Pi and then your devices will begin to wirelessly charge at full speed. Pi can charge up to four phones at full speed and additional devices at a lower speed. If your device doesn’t support wirelessly charging, then you’ll need a special case that has wireless charging built-in. But if you have one of the new iPhones or even a Galaxy S8 or Note8, then a case isn’t required. MacDonalds says they’ll be selling the Pi charger as a standalone product for now but the company is also looking to integrate their technology into other devices, they’re currently talking to partners right now. You can pre-order your own Pi charger and the first 314 people will get at $50 discount. The Pi charger will retail for under $200 USD and ship in 2018.